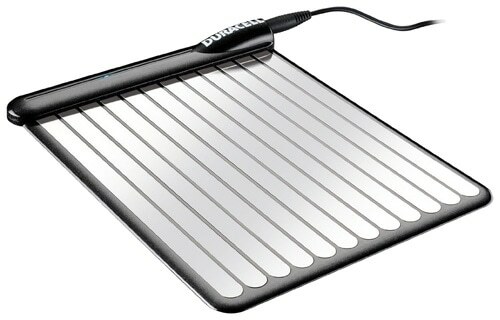 Introducing the innovative Duracell MyGrid. For years, it has been with hassle to charge devices using wires; the cable acting as a tripping hazard, or the phone not reaching the location you want to place it down, well no more! The Duracell MyGrid can provide Drop-And-Go charging for up to four devices simultaneously and due to its lightweight and ultra-slim design can be placed on a wide number of surfaces. Please note that the MyGrid itself does need a cable to be powered, yet the devices being charged from the MyGrid do not. You may be thinking to yourself that such a futuristic charging device such as one that can provide wireless charging would be lacking in simplistic protection features, and from our experience you’d probably be right, but not with Duracell. The Duracell MyGrid has built-in overcharge protection and will also automatically turn off after all devices on the MyGrid have been fully charged, and if you thought that was all it’s not, the MyGrid is completely safe to touch so no worries there and is even protected against liquid spillages. This truly is an incredible bargain so grab yours while stocks last and be the envy of your friends with this stylish and amazing wireless charging solution from Duracell.